Pro Flap Mud Flaps are the clear leader in the industry. All Pro Flap Mud Flaps use their patented polyurethane material that is designed to handle extreme cold and hot weather. Pro Flaps are designed with a textured surface for ease of cleaning that also helps prevent sun fading. 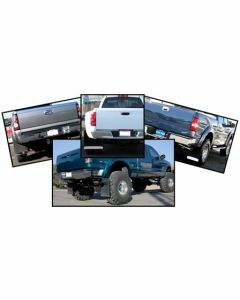 Pro Flap Mud Flaps are designed to not only bring style to your truck, but to also protect it. They are made of an exceptionally strong and grooved material with a rigged tire side to channel water and mud downward instead of outward.